Unfortunately, we often experience unexpected disaster situations that can include a fire, problems with flooding, or issues with mold and chemicals. When the unexpected happens, our water damage repair Bluffton SC team is here to provide efficient and expert service in a variety of areas. The following information describes some of the many services your experts provide for Bluffton disaster services. Flooding can occur after severe weather or from ruptured pipes. We can provide water extraction services for your home, business, or school after problems with flooding have occurred. We use industry leading equipment when completing the drying process. During the process of restoring your home or business we can provide moisture testing and infrared imaging. We also test for mold that could be affecting your home and make sure the place is clean of any allergens, chemicals, or mold. 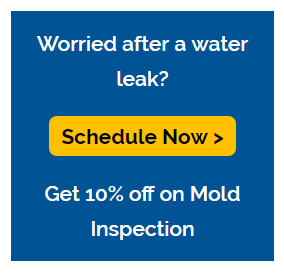 We even offer slab leak detection services with our water damage repair Bluffton SC experts. Sometimes flooding problems can involve sewage pipes and drains. This can not only be messy but can release unhealthy bacteria. If necessary we can help with sewage back-up cleaning and bacteria testing and cleaning. Moreover, SerClean specializes in testing for bacteria in any water source and making sure it complies with the law and is safe and healthy to use. A fire can be one of the most frightening disasters a family or business can experience. After a fire we can help salvage and restore your home, business, and personal belongings. We provide smoke and fire damage repair for your home and belongings. Sometimes the smell left behind after a fire needs to be eliminated. We can provide odor control services as well and get rid of the smoke odor. A big fire can leave behind not just smoke odor, but chemicals that are harmful to breathe. SerClean specializes in cleaning all chemicals, removing odors, and leaving your place like new. We can clean a variety of items that may have been damaged but can still be salvaged. Additionally, our experts will advise you if they consider it financially wiser to buy new appliances or furniture rather than trying to save the damaged ones. In case you need to store items after a fire has occurred, your water damage repair Bluffton SC experts provide climate controlled storage! People may not worry about mold in the same way they do about a fire or flooding, but molds can cause extensive damage. Mold not only destroys personal property but can cause allergies and sickness. Your water damage repair Bluffton SC experts offer mold testing and remediation. We use HEPA filtered equipment and provide anti-allergen treatment. Our professionals also offer HEPA HVAC duct cleaning. There’s nothing worse than having your HVAC system affected by mold and spreading toxic spores throughout the house. Chemicals can damage a home or business as well as become an underlying cause of health problems. We provide services that range from pet odor removal and carpet cleaning to asbestos testing and abatement. Make sure to ask about H1N1 swine flu prevention treatments and cleanings. We also offer lead testing and cleaning that is EPA certified. As part of our chemical testing and cleaning we provide HVAC duct cleaning that is NADCA certified. Problems don’t also happen during regular office hours. We offer customers 24/7 emergency service. Contact your disaster services Bluffton SC experts right away and we’ll be there in no time! Our professional and experienced staff will help you get your home or business back on track as quickly as possible. Moreover, SerClean will take care of all the insurance documentation and proof for any disaster you are dealing with! We’ve got you covered during this stressful time!